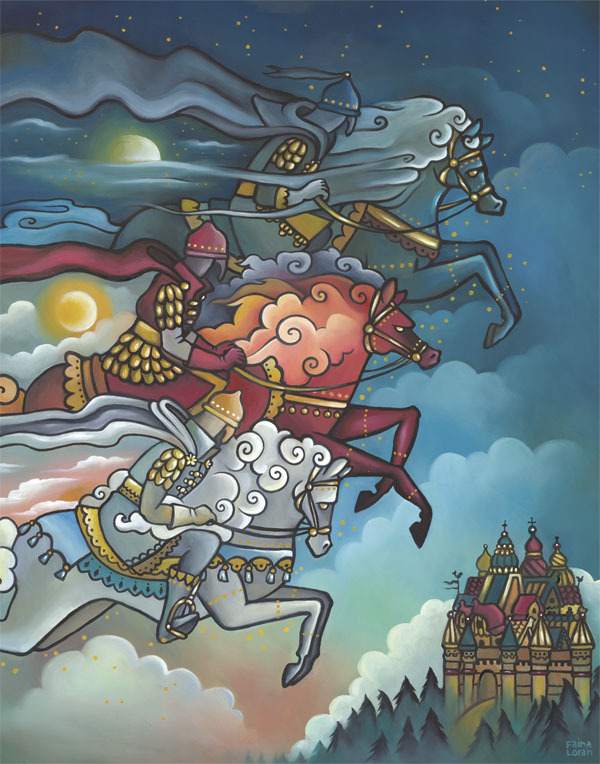 Dawn, Evening, and Midnight is a riveting story from a collection of Russian fairy tales published in 1866. The Russian stories were gathered by Aleksandr Afanas’ev, who was considered the Russian counterpart of the Grimm Brothers. The pattern of three is commonly used in fairy tales. It is excessively used in this story – notice how many places it is used throughout the whole tale.